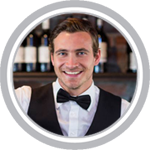 Get huge discounts by enrolling and training all your Alcohol Seller-Server employees. No matter the size of the business, if you have multiple employees to train and certify, we can handle them for you. To find out more about the Group Discount Plans, complete the contact form below and we will arrange a great discount plan for you and your employees. Please include the number of employess, state, and class of interest.